In the Hinduism Trimurti (the three primary Gods), there exists Brahma, Vishnu and Shiva. Each one of these God’s have a specific role to perform. Brahma is the creator. Vishnu is the sustainer. And Shiva is the destroyer. Together, these three Gods make up the three primary manifestations of Narayana, the Supreme Lord. 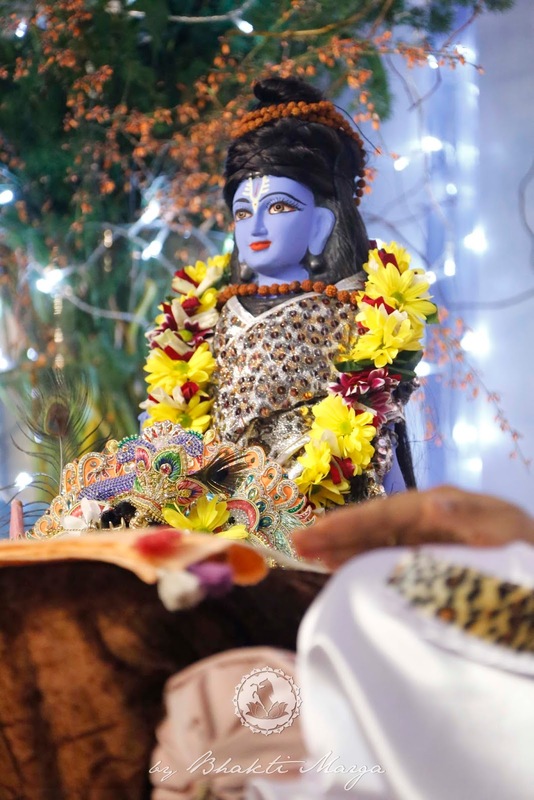 With Shivaratri soon, it is more than appropriate now more than ever, to reflect on the duty of Lord Shiva in regards to His destructive function. At first, Lord Shiva may seem like a bit harsh. Since Lord Shiva is known for being in the company of ghosts, demons, and the likes, it is easy to cast judgement onto Bholenath, “the innocent one.” But without the blessing of Lord Shiva, one cannot attain the highest goal of them all: the attainment of Narayana. To understand the destructive nature of Lord Shiva, one most look at the context of His destruction. For example, when Lord Shiva does His dance of destruction as Nataraj, the Lord of Dance, He isn’t just destroying the whole universe for the fun of it. Lord Shiva destroys the Universe so that a new one may be created. And this destruction isn’t limited to the material plane either. On the spiritual path, it is our goal to remove the layers of karma and samskaras covering the heart, covering the presence of the Divine seated within us all. To truly feel the presence of God, we must somehow get these removed. It is the nature of Shiva to destroy these layers and reveal the Eternity of the soul. Hence, Lord Shiva is also called, “Mahakala”, the Lord of All Times. There is a well-known Hindu story of Kama Dev (the Lord of Love) trying to get Lord Shiva to have intimate feelings for Parvati. Since Shiva’s wife Sati had left Her body, Lord Shiva was bent on tapasya and wished to not be disturbed. But due to the circumstances the Devas were in, Kama Dev was instructed to make Lord Shiva fall in love with Parvati. However, things didn’t go quite as planned. When Shiva found out what the Lord of Love was up to, He became furious and incinerated Kama Dev with a fire from His third-eye. Instantly, Kama Dev was reduced to a pile of ashes. Though this ended up to be a blessing for Kama Dev, nevertheless there is a great symbolism to be found in this story. As Kama Dev is the Lord of Love, the word ‘kama’ can also refer to ‘desire’ or ‘lust’. In this story, Lord Shiva is the one destroying this desire to ash. It is Lord Shiva’s duty to destroy all which keeps one from attaining the Absolute. By receiving the blessing of Lord Shiva, one can easily overcome the fear of death and transcend the dualities perceived by the mind. The destruction of Lord Shiva is the manifestation of His grace. And as a Destroyer, He will not only eliminate the burdens weighing onto one, but He will also take those burdens upon Himself. This aspect of Lord Shiva is exemplified in the epic story of the milky ocean. In the churning of the milky ocean, when the devas and asuras were both trying to obtain the amrit of immortality, Lord Shiva consumed the exuding poison called, “Halahala,” into his throat. The “Halahala” was not your average poison to say the least. It was threatening to ruin the entire Universe, but with the blessing of Lord Shiva, this poison, or negativity one could say, did not affect either the devas or the asuras. From this consumption, Lord Shiva’s neck turned blue and since then He has also been called, “Neelakantha” the blue throated one. 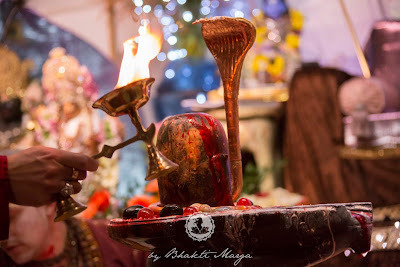 In addition to destroying our accumulated negativity and taking our problems upon Himself, Lord Shiva is also the destroyer of spiritual pride. 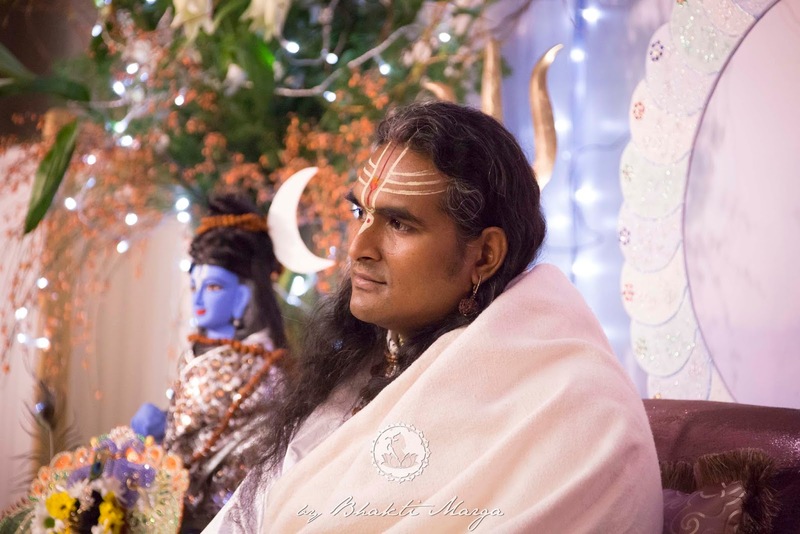 As Sri Swami Vishwananda has taught, one of the biggest obstacles on our path, if not the biggest, is spiritual pride. Lord Shiva is the destroyer and conqueror of this pride. The story of Bhagirath and Mother Ganga illustrates this perfectly. When Bhagirath did penance for his ancestors, he obtained the grace of having Mother Ganga descend to Earth to purify and liberate those ancestors from their sins. Mother Ganga however was not happy to leave heaven, and arrogantly, She decided to descend with full force to disrupt Earth. At seeing this, Bhagirath took refuge in Lord Shiva, who entangled the Devi into His matted locks before She could cause any disturbance. Lord Shiva humbled Her and released Her pure waters in small streams onto all the three worlds. By cutting down our egos, removing our karma, and destroying all of our negativity, Lord Shiva removes the barriers of our perception so that we can perceive ultimate unity. By having Lord Shiva’s blessing, one can see God in every person, in each aspect of nature, and unconditionally within oneself. We are already Love, we just need the veil of illusion destroyed to experience it. Hara Hara Mahadev! 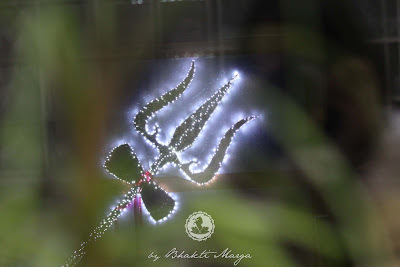 Also, stay tuned for further insights into Lord Shiva with our blog and other social media channels. Have a great day, and Jai Gurudev!